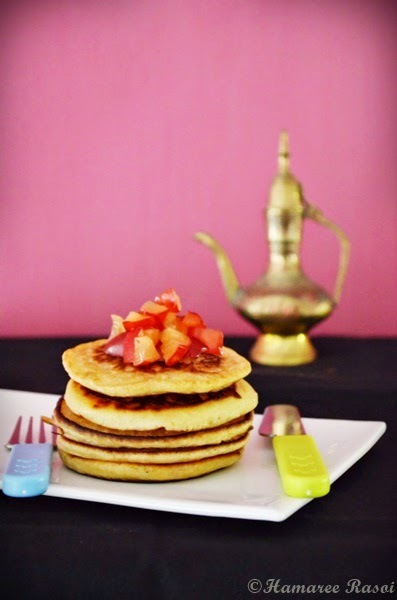 My favorite with Naan on the side..That looks so yummy!! What a lovely way to celebrate Deepa. Simply Awesome. lovely presentation too. delight to the eyes. 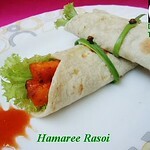 Oh man, thats incredible...makes me very hungry right now...miss quality paneer here:( Also lazy to make one, hehe. lovely presentation n looking rich n deliciouis gravy..
Wow...shahi paneer darun lagche! next time when I'll make paneer, I'll follow this recipe....ruti'r shathey khub bhalo lagbe..
Potlucks are always fun..we used to have a lot of such gatherings in Brazil. 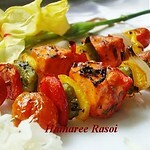 The paneer dish looks awesome...just like the restaurant one. 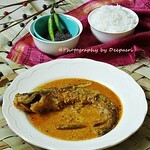 deepa u seem to cook all my fav dish and sooooooooo well- yum, slurppppppppp ! and a beautiful gesture of u & ur frnd to celebrate the victory ! 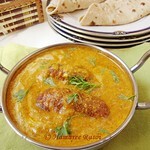 WOw,Shahi Paneer recipe looks so rich and delicious.Lovely celebration. Beautiful presentation and lovely rich and heavenly dish. @ thank you Ladies for your lovely comments. @Shobha: Meeting with blogger friends is always a pleasure. Hope you too find some friends over there. Priya Sreeram: He He He :-) had u been in my city we would have celebrated it together. 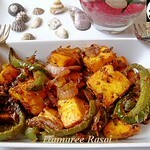 @Suman: would be waiting for your style shahi paneer. 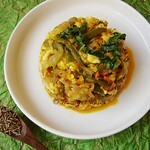 A lipsmacking version of shahi paneer!!! Lovely paneer. can I join you to continue the celebration. Omg, would love to join u guys, but unfortunately am leaving very much far away, rich and truly inviting shahi paneer,delicious! awesome...now this is in my must to do list..thanque..
great recipe and great way to celebrate the win too.. 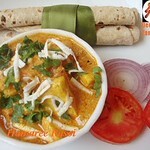 Delicious and tempting shahi paneer..
delicious shahee paneer.love the pic. looks very creamy and inviting...nice presentation ! This look so good, perfect and creamy. Deeps, Shahi paneer looks awesome and the presentation is also nice.. No wonder ur potluck ppl relished this.. This is awesome shahi paneer. love the way you made it. No need to go to restaurant. Subho Naba barsher Priti o subhechha roilo tomake r tomar family ke. Tomar Shahi Paneer preparation r decoration dutoi darun hoyechhe. Very yummy shahi paneer! It looks very great! 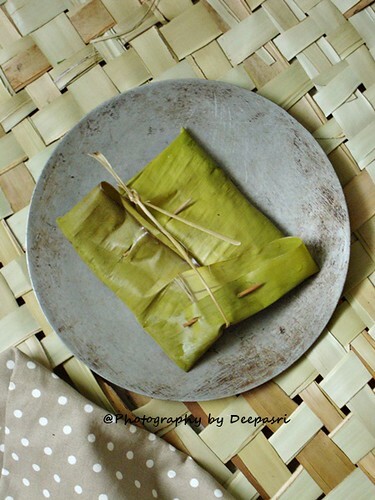 Hi Deepa...presentation is so tempting esp that rolled roti...I have a question on your previous post : mango burfi... is there any alternative for mava or khoya or can it be replaced with something else as it is difficult to find mava here. WOW..looks really appetising...just like restaurants. 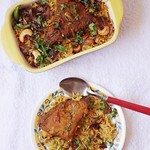 i make this dish similarly, u can check on my blog if it interests u. but ur dish looks very nice! 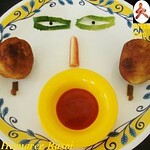 my firs ttime at ur blog.i am impressed. i am following u now and would love to revisit. would love to have u visit/follow me as well. Nababbarsher anek anek shubhechha roilo Deepa. Paneer looks so so creamy. aaj amar shukrobar, ruti alu bhaja kheye achi ar akhon tomar paneer dekhe khete ichhe korche. akhono khub chap e achi. Hubby ei fireche, bario puro gochano hayni. aajo Maa er kache cheleke rekhe saradin gochgach korlam. am already missing Bangalore. tomra aj ki korle? notun no niyei pathabo tomake. Oh! Looks so delish! 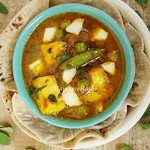 I love creamy paneer in a rich thick gravy. Looks so creamy and rich. Perfect to have with any breads. Very nice recipe, looks so creamy and delicious! 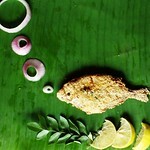 OMG its awesome lovely presentation n yumm dish.. 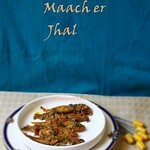 Delicious shahi paneer..Loved your presentation and clicks! 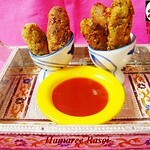 Very rich recipe deepa n a classic recipe too.Nice presentation dear . Looks like somebody had a nice potluck!! Paneer looks super duper!! Thanks for the lovely comment Deepa, yeah it's difficult to find time with job but I try to blog atleast once every week! Drooool, Deepa, give me your address, I am coming over. Great visual treat. Am making it right away! yummy! who doesn't like this creamy dish. Little wonder if you received too many compliments for that dish- looks totally rich and delicious!! I can mop up that whole plate with a few pieces of roti, sachi! My all time favorite. Turned out perfect for u. Nice recipe... YUM! I was searching for this recipe. Wonderful Recipe. Am bookmarking this. This looks really restaurant style!! This recipe luks really awesome.Yummy thick gravy and cool!.Delish Gravy Dear. 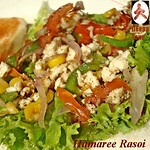 I was looking for a new paneer recipe.. Gotchaa.. :) thanks a ton for this one.. :) love the look of it itself..
Hi! Your shahi paneer recipe was nominated as one of the "Best Shahi Paneer Recipes on the Net". To vote for it, please visit http://easyindianrecipes.org/side-dish-recipes/best-shahi-paneer-recipes-on-the-net-vote-for-your-favorite/ (your recipe is positioned at #23 - random order). The plastic assurance will help keep your recipes clean.